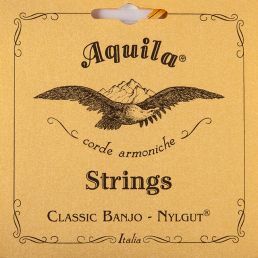 Until the mid-20th century Banjos were mounted exclusively in gut, a material that had been used for thousand of years and that combines excellent promptness of attack with brilliance of timbre – very different, in other words, from modern nylon strings. And until recently the typical sound quality of gut has been a constant point of reference for lute-makers, composers and performers alike. A fundamental aim of our research has therefore been to make a new synthetic product having the same acoustic properties as gut – but without its typical defects – (high cost, limited duration and high instability under varying climatic). 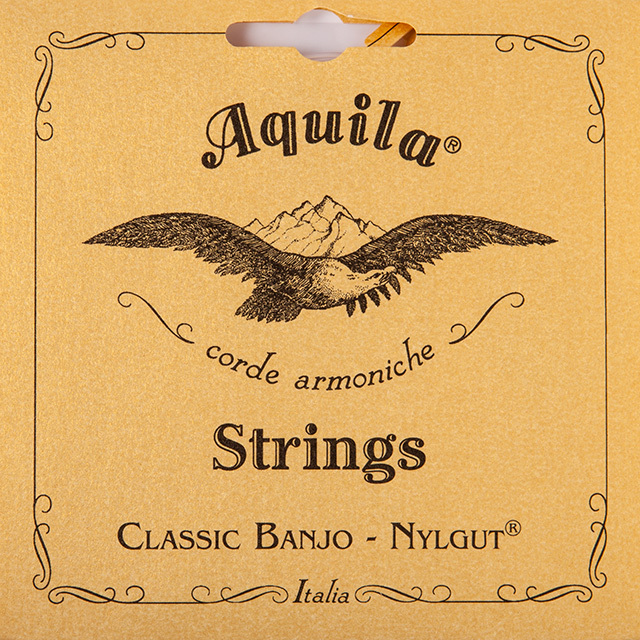 The Nylgut® has precisely these qualities: allowing one, on the one hand, to rediscover the sonorities familiar to the great late 19th and 20th century masters; and guaranteeing, on the other, a stability of tuning higher even than that of the best gut and nylon strings. The 4th string on sets 1B and 2B for Old Style Banjo is unwound. They are made up of a recently discovered bio-plastic – that we named Sugar – that has been loaded with metallic powders. 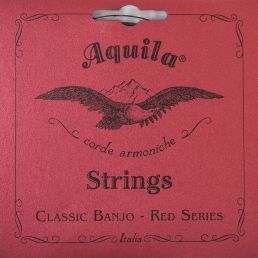 Thanks to this technology, we were able to produce unwound strings with very bright sound, stable and with a smooth surface, that are not affected by the oxidation, that is typical of metal wound strings.